Nicky studied for her PhD in the psychophysiology of dyslexia at the University of Warwick. This was followed by post-doctoral positions as an E.U. Research Fellow at the Wellcome Department of Imaging Neuroscience (University College London), as a Research Scientist (external collaborator) at the MRC Cognitive Development Unit in London, and as a Research Psychologist in the Department of Epidemiology and Public Health (UCL Medical School). Her research focuses on cognitive, behavioural and neuropsychological aspects of children's reading development, of skilled reading, and developmental dyslexia in children and adults. She is also interested in the link between reading and musical expertise (in musicians and dancers), and between reading ability and visuo-spatial/drawing ability (in art/non-art students). She has conducted research using EEG, ERPs, fMRI and PET. 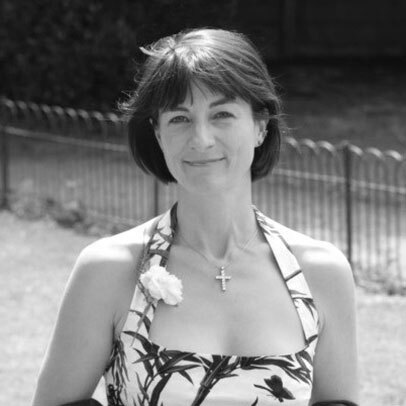 Nicky has written/edited five books on reading and dyslexia, and she served for six years as a Trustee of the British Dyslexia Association with whom she continues to be actively involved. Cognitive, behavioural and neuropsychological correlates of reading development, of skilled reading, and developmental dyslexia in children and adults; the relationship between developmental dyslexia, handedness, maths ability, musical proficiency, and visuospatial ability in adults; reading and spoken language processing. Chamberlain, R., Brunswick, N., Siev, J., & McManus, I.C. (2018). Meta‐analytic findings reveal lower means but higher variances in visuospatial ability in dyslexia. British Journal of Psychology, 109, 4, 897-916. Rankin, Q., Riley, H., Brunswick, N., McManus, I. C., & Chamberlain, R. (2017). Talking the line: Inclusive strategies for the teaching of drawing. Drawing: Research, Theory and Practice, 2, 2, 287-304. Brunswick, N. (2015). Dyslexia: Creating impact through innovation. Dyslexia, 21, 3, 195-196. Chamberlain, R., McManus, I. C., Brunswick, N., Rankin, Q., & Riley, H (2015). Scratching the surface: Practice, personality, approaches to learning and the acquisition of high level representational drawing ability. Psychology of Aesthetics, Creativity and the Arts, 9, 4, 451-462. Chamberlain, R., McManus, C., Brunswick, N., Rankin, Q., Riley, H., & Kanai, R. (2014). Drawing on the right side of the brain: a voxel-based morphometry analysis of observational drawing. Neuroimage, 96, 167-173. Payne, N., Ciclitira, K., Starr, F., Marzano, L., & Brunswick, N.(2014). Evaluation of long-term counselling at a community health service for women who are on a low income. Counselling and Psychotherapy Research, 1-9. Chamberlain, R., McManus, I., Riley, H., Rankin, Q., & Brunswick, N. (2013). Local processing enhancements associated with superior observational drawing are due to enhanced perceptual functioning, not weak central coherence. The Quarterly Journal of Experimental Psychology, 66, 7, 1448-1466. Chamberlain, R., Riley, H., McManus, I.C., Rankin, Q., & Brunswick, N. (2012). The perceptual foundations of drawing ability. Thinking through drawing: Practice into knowledge. Proceedings of an interdisciplinary symposium on drawing, cognition and education. 95-102. Ciclitira, K., Starr, F., Marzano, L., Brunswick, N., & Costa, A. (2012). Women counsellors' experiences of personal therapy: A thematic analysis. Counselling and Psychotherapy Research, 12, 2,136-145. Brunswick, N., Martin, G.N. and Rippon, G. (2012). Early cognitive profiles of emergent readers: a longitudinal investigation. Journal of Experimental Child Psychology, 111, 268-285. McManus, I.C., Loo, P.-W., Chamberlain, R., Riley, H. and Brunswick, N. (2011). Does shape constancy relate to drawing ability? Two failures to replicate. Empirical Studies of the Arts, 29, 2, 191-208. Franco, F., Brunswick, N. and de Mornay Davies, P. (2010). Music of language, language of music. The Psychologist, 23, 11, 913-914. Brunswick, N., Martin, G.N. and Marzano, L. (2010). Visuospatial superiority in developmental dyslexia: myth or reality? Learning and Individual Differences, 20, 421-426. Brunswick, N. (2009). Mind, brain and education in reading disorders. American Journal of Human Biology, 21, 3, 414-415. Riley, H., Rankin, Q., Brunswick, N., McManus, I.C., Chamberlain, R., and Loo, P-W. (2009). Inclusive Practice: Researching the relationships between dyslexia, personality, and art students' drawing ability. Include 2009 Proceedings: Conference on Inclusive Design London: Royal College of Art. Martin, G.N., Brunswick, N. and Jolic, N. (2005) Developing an on-line undergraduate course in introductory psychology, Journal of Health, Social and Environmental Issues, 6, 1, 11-26. Ciclitira, K., Marzano, L., Brunswick, N., Starr, F. and Berger, S. (2004). Theoretical and ethical issues in conducting research at a women's health centre. Psychology of Women Section Review, 6, 1, 60-69. Wardle, J., Waller, J., Brunswick, N. and Jarvis, M.J. (2001). Awareness of risk factors for cancer among British adults, Public Health, 115, 173-174. Paulesu, E., Démonet, J.-F., Fazio, F., McCrory, E., Chanoine, V., Brunswick, N., Cappa, S. F., Cossu, G., Habib, M., Frith, C. D. and Frith, U. (2001). Dyslexia: Cultural diversity and biological unity, Science, 291, 5511, 2165-2167. Paulesu, E., Démonet, J.-F., Fazio, F., McCrory, E., Chanoine, V., Brunswick, N., Cappa, S. F., Cossu, G., Habib, M., Frith, C. D. and Frith, U. (2001). Cultural diversity and biological unity in dyslexia, Neuroimage, 13, 6: S584-S584, Part 2 Suppl. Brunswick, N., McCrory, E., Price, C., Frith, C.D. & Frith, U. (1999). Explicit and implicit processing of words and pseudowords by adult developmental dyslexics: a search for Wernicke's Wortschatz? Brain, 122, 1901-1917. Rippon, G., Brunswick, N. & Garner, S. (1999). Psychophysiological studies of normal and abnormal reading development, Journal of Psychophysiology, 13, 2, 141. Gallagher, H.L., Happé, F., Brunswick, N., Fletcher, P.C., Frith, U. & Frith, C.D. (1998). Theory of mind: A functional magnetic resonance imaging study, Journal of Cognitive Neuroscience, No.SS, 105. Rippon, G. & Brunswick, N. (1998). EEG correlates of phonological processing in dyslexic children, Journal of Psychophysiology, 12, 261-274. Brunswick, N., McCrory, E., Price, C., Frith, U. & Frith, C. (1997). An investigation of implicit language processing in dyslexic and non-dyslexic readers, using positron emission tomography. Neuroimage, 5, 4, 569. Brunswick, N., McDougall, S. and de Mornay Davies, P. (Eds) (2010). Reading and dyslexia in different orthographies (with a foreword by Professor Uta Frith). Hove: Psychology Press. Brunswick, N. (Ed.) (2009). The Dyslexia Handbook 2009/10. Bracknell: British Dyslexia Association. Brunswick, N. (2012). Dyslexia. Bolinder Beginner Guides. Victoria, Australia: Bolinder Publishing Pty Ltd.
Brunswick, N. (2012). Dyslexie, Legasthenie, Ordblindhed: Dyslexia in different languages. In J. Everatt (Ed.) Dyslexia, Multilingualism and Foreign Language Learning. Bracknell: British Dyslexia Association. Brunswick, N. (2010). The functional neuroanatomy of normal and impaired reading. In P. L. Cornelissen, P. C. Hansen, M. L. Kringelbach and K. Pugh (Eds) The Neural Basis of Reading. Oxford: Oxford University Press. Brunswick, N. (2010). Unimpaired reading development and dyslexia across different languages. In N. Brunswick, S. McDougall and P. de Mornay Davies (Eds) Learning to read and spell in different orthographies. Hove: Psychology Press. Brunswick, N. (2010). Dyslexia. In K. Malmkjær (Ed.) The Linguistics Encyclopaedia (3rd edition). London: Routledge. McDougall, S., Brunswick, N., and de Mornay Davies, P. (2010). Reading and spelling in different orthographies: An introduction. In N. Brunswick, S. McDougall and P. de Mornay Davies (Eds) Learning to read and spell in different orthographies, Hove: Psychology Press. Paulesu, E., Brunswick, N. and Paganelli, F. (2010). Cross-cultural differences in normal and dyslexic reading: Behavioural and functional anatomical observations in adult readers of regular and irregular alphabetic orthographies. In N. Brunswick, S. McDougall and P. de Mornay Davies (Eds) Learning to read and spell in different orthographies. Hove: Psychology Press. Brunswick, N. and Martin, G. N. (2006). The neuropsychology of language and language disorders. In G. N. Martin, Human Neuropsychology: An Introduction to Human Brain Function and Dysfunction (2nd edition). Hemel Hempstead: Prentice Hall International. 273-320. Brunswick, N. (2003). Developmental dyslexia: Evidence from brain research. In T. Nunes and P. Bryant (Eds) Handbook of Children's Literacy. Dordrecht, the Netherlands: Kluwer Press. 275-292. Martin, G.N. and Brunswick, N. (2010). Pearson Education on-line course in psychology (3rd edition). Harlow: Pearson Education. Martin, G.N. and Brunswick, N. (2004). Pearson Education on-line course in psychology (2nd edition). Harlow: Pearson Education. Carlson, N.R., Martin, G.N., Brunswick, N. and Buskist, W. (2004). Psychology: Lecturer's resource CD ROM. Harlow: Pearson Education. Martin, G.N. and Brunswick, N. (2001). Pearson Education on-line course in psychology. Harlow: Pearson Education. Carlson, N.R., Buskist, W., Martin, G.N. and Brunswick, N. (2000) Lecturer's Resource CD ROM, Psychology: the science of behaviour. Harlow: Pearson Education. Member, Organising Committee of the British Dyslexia Association's 9th International Conference: 'Creating Impact through Innnovation', Guildford, 2014. Member, Organising Committee of the British Dyslexia Association's 8th International Conference: 'Beyond Boundaries', Harrogate, 2011. Member, Organising Committee of the 'Music of Language, Language of Music: Development, Meaning and Literacy' seminar series funded by the British Psychological Society, and hosted by Middlesex and Cambridge Universities, 2010-2011.